Grande Prairie First Aid offers prospective students high quality programs taught by workplace approved certified instructors. High end equipment such as AED trainers, mannequins, and first aid training kits are used in the different training facilities throughout Alberta. Students can find a list of offered classes, rates, and schedules on the Grande Prairie First Aid website. Choose a program and enrol today! To sign up for a program, a student just needs to pick a class or program and use the registration form on the Grande Prairie First Aid website. E-mails and telephone calls are alternative ways to enrol. Walk-ins are highly encouraged to complete enrolment. Class rates at this provider are extremely affordable. They are paid in full along with additional expenses during enrolment so trainees don’t have to worry about tuition while training. The total fees paid are inclusive of the class rate, taxes, certification fees, and training manuals. Students who drop out are entitled to full refunds, provided a 72-hour notice beforehand. The Grande Prairie First Aid program is 14-16 hours long, with classes held throughout the week, including evenings and weekends. The program teaches students a variety of first aid skills such as wound care, cardiopulmonary resuscitation (CPR), and automated external defibrillation (AED). Students learn how to manage head, neck, spine, and joint injuries, as well as different emergency situations. To pass a class, a student is required to have good demonstration of skills, at least 75 percent on the written exam, and complete attendance. Big groups of students and students with scheduling problems can choose to enrol in a private class. 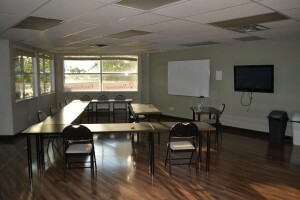 Booking instructors for training at home or for company training workshops is available at Grande Prairie as well. Send an e-mail or give a call to inquire about additional expenses. Ask if he or she has medication to take in case of an attack (usually a short-acting bronchodilator in an inhaler). Assist victim in taking the medication. Allow victim to rest. Keep him or her comfortable, and provide fluids. Advise to perform deep breathing exercises.